One thing that’s definitely gotten better over time: not as much ritualistic human sacrifice. But a new study published Monday in Nature revisits the ancient practice to look for fresh insights. The scientists found that, for better or worse (and only worse for the victims, of course), human sacrifice helped create the hierarchies present in many modern societies. 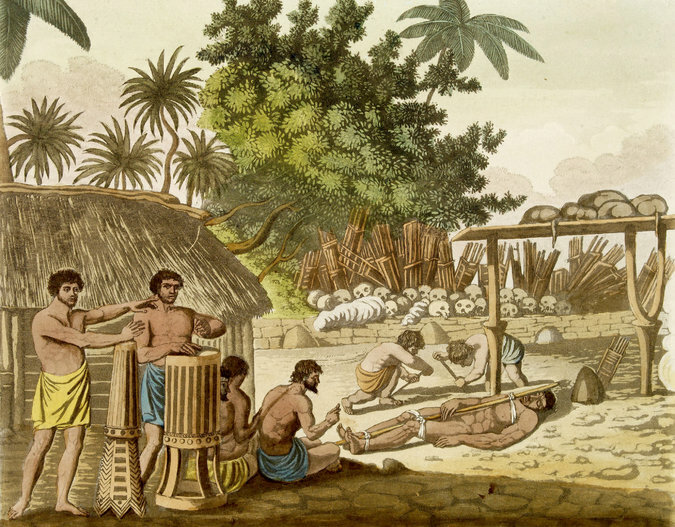 The scientists from the University of Auckland and Victoria University of Wellington, both in New Zealand, found that ritual sacrifice may have spurred the transition of small, egalitarian societies to large, stratified ones. The study examined 93 traditional Austronesian cultures (speakers of a family of languages in parts of Africa, Asia and Oceania). They looked at whether and how these cultures used ritual sacrifice — 40 of them practiced it — and how it affected social organization. The cultures were then divided into groups: egalitarian, moderately stratified and highly stratified. They were defined by the presence or absence of social hierarchy, and the rate of social mobility. The scientists found, perhaps not surprisingly, that human sacrifice contributed to creating and preserving social hierarchies, and that it increased the chances that societies would have more fixed strata, which were inherited positions, and less mobility. It also generally helped prevent loss of social divisions once they existed. Despite its barbaric nature, human sacrifice was a useful tool for rulers, elites, and religious figures to maintain or cement their power, or even to proclaim their own divinity. In these cultures, human sacrifice — usually of slaves or others with low status — was sometimes called for in response to several events, including the breaking of taboos or customs, the funerals of important people, or the consecration of a new house or boat, according to the authors. The authors list some run-of-the-mill techniques for human sacrifice, but others they mention are more, let’s say, specific: being crushed under a newly built canoe, or being rolled off the roof of a house and then decapitated. Human sacrifice was practiced at some point in most parts of the world, but because most major religions forbid the custom, it hasn’t lasted into modern times. Even so, rumors of human sacrifice or ritual murders sometimes circulate. And popular culture helps fan the flames, too. “Game of Thrones” Season 6, anyone?